In early academic circles, scholars categorized the Truku as a sub group of the Atayal when categorizing Taiwanese aborigines because some aspects of their culture and customs bear a slight resemblance to those of the Atayal, and some are even more similar. The Truku was a “sub-group” or a “branch” of the Atayal, and was classified as the eastern Sedek group of the Sedek sub-group under the Atayal ethnic group. However, as early as the period of Japanese rule (1895-1945), scholars had pointed out that this group referred to itself as Sajeq, and its language, culture, and other aspects were different from those of the Atayal. So the group was named “Sajeq” (“Shaji” in Mandarin). Sejiq means “human being” in the Truku language. The Truku lived in Nantou County originally, and then they gradually migrated to eastern Taiwan in several phases. In the areas where they originally lived, there were several language groups such as the Tkdaya, Truku and Tuuda. Most of the immigrants from Nantao to Haulien were Truku people. This group has a clear ethnic identity. When encountering outsiders, most of its members state their group identity as Truku, or Tailuge in Mandarin. Many eastern Sedek people participated in the ethnic name restoration movement for decades, strongly asserting their wish to be considered as distinct from the Atayal ethnic group. Even though other minority groups of the eastern Sedek (such as the Tkdaya and the Tuuda) and the western Sedek in the Nantao area do not share the views of this movement, the Truku have finally been recognized by the Executive Yuan as the twelfth aboriginal ethnic group in Taiwan. Taiwanese aborigines initially had no concept of ethnicity, until they learned it from Japanese rule, modern policies and academic research. Only then did the concept of “ethnic group” became solid in their minds. 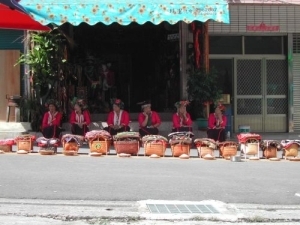 The new Truku ethnic group includes three branches (Truku, Tkdaya and Tuuda) from the old eastern Sedek and now they are scattered over many towns in Hualien County. The Truku were recognized by the government only less than one year ago. The subsequent effects are worth noting. The Tkdaya and Tuuda’s status in the ethnic group is a key factor. The concept of ethnicity was imparted by the dominant society, not by members of the inner group, so when the Truku people interacted with other peoples before the period of Japanese rule (1895-1945), the groups based their identity on tribes or language groups. Even though the three language groups now belong to the Truku, they previously hunted one another’s heads or were enemies, just as they dealt with other groups in the Hualien area, such as the Sakiraya (or the Sakizaya, on the Kiray plain), the Kavalan, the Nanshi Amis and the Han Chinese. The boundaries separating the Truku from other groups are somewhat nebulous. There are two reasons: first, Truku tribes are based on kinship, which built only looser ties among their members, and second, a lack of arable land resulted in segmented tribes. However, groups that split from the same tribe do not necessarily become independent tribes. The decision of whether or not to establish a separate tribe hinges on the interaction between the group and the mother tribe as well as on group members’ subjective identity. The Thao ethnic group is scattered throughout Nantou County (23˚ 52’ N, 120° 55’ E) in central Taiwan and lives by Sun Moon Lake. The pattern of Thao economic activity is influenced by Sun Moon Lake, of which fishing and the tourist industry are key features. This characteristic is best illustrated by how they incorporate the traditional ancestral rituals into the government’s tourism event on the day of Mid-Autumn Festival. Against this backdrop, the Thao people have developed an inward approach (holding traditional rituals) and an outward approach (performing for tourists). The two combined can not only sustain their traditions but also meet the demands of political and tourist culture. However, in light of the intervention of outside material culture, there are also difficulties involved with performing tourist-oriented rituals. It is said that the early Thao people first lived in puzi (“Tuting” in Mandarin) and moved to lalu (Guanghua Island) during the reign of Emperor Kangxi (1661-1722). At that time, besides houses, there were also farmlands on the island. The early Thao people abandoned their territory on Lalu before the reign of Emperor Daoguang (1820-1850) and resettled along Sun Moon Lake, forming numerous villages including Yuchih (Shenlu), Maolan (today’s Jhongming Village), Shueishe (including Shueishe, Shihyin and Maopu) and Toushe. During the reign of Emperor Guangxu (1875-1908), because of the Han Chinese intrusion, the Thao inhabitants in Yuchih relocated northward to Sinsingjhuang, while those in Maolan moved northward to Siiaomaopu, and residents in Shueishe moved to Damaopu, Shihyin and Jhuhu. Another major migration took place during the early phases of Japanese rule – villages in Sinsinjhuang and Jhuhu merged into Shihyin Village, while some residents in Toushe moved to Dapinglin. At present, Tehuashe and Dapinglin are the two major Thao villages, each with a population of less than 300 people. The Thao people used to be the dominant population in the Sun Moon Lake region; however, their numbers plummeted due to land cultivation, inter-ethnic marriage, migration and malaria. The decline was closely related to the Han Chinese cultivation of the land and interaction with other indigenous peoples. Historian Jiyao Chen‘s studies show that the geographic distribution and types of indigenous peoples’ settlements at Sun Moon Lake became clearer in the late 17th century and early 18th century. 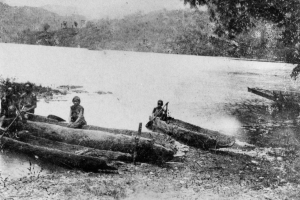 He also suggests that the seven aboriginal tribes at Sun Moon Lake – the Shueilishe, Toushe, Shezaishe, Maolanshe, Shenlushe, Mujilanshe and Fugushe – have undergone four major migrations moving in and out “as groups” centered around Sun Moon Lake since the 19th century. In June of the sixth year of the Showa period (1931), Taiwan Electric Power Co. launched its project at Sun Moon Lake. Daguan Power Station was completed in July, or the ninth year of Showa period (1934), with the level of the lake elevated by 21 meters. The inhabitants of Shihyin village, originally located at the southern lake, were forced to move to a Han village, Buji (today’s Tehuashe), and its nearby area (namely Bogu or Beiku), while Han Chinese who lived there beforehand moved to places such as Yuanlin and Ershuei. The Japanese government imposed a policy of segregation on the Thao people after the resettlement, which prohibited the Thao from moving out and Han Chinese from moving in. The government began to actively promote tourism once the dam was completed, and as a result, the Thao were gradually involved in this business. After World War Two, along with the increasing Han settlements in Buji, land conflicts between the two ethnic groups also mounted. At present, the largest Thao village is Tehuashe, which is located in Rihyue Village, Yuchih Township, Nantou County. Tehuashe is opposite to Shueishe, on the other side of Sun Moon Lake, and is the most populous tourism spot in this area. Shueishe used to be a Thao village but is now inhabited by Han Chinese. 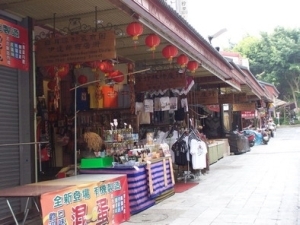 In addition to Sun Moon Lake Ring Road, there is another path in southern Tehuashe, leading to the Bunun village, Kashe, to the south of Sun Moon Lake, and continuing to another two Bunun villages, Dili and Shuanglong in Sinyi Township. 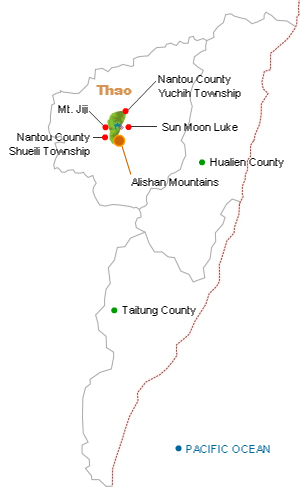 By way of Yuchih in the northeast, people in Tehuashe can reach Bunun villages such as Guokeng and Wujiie in Renai Township, with which they have maintained long-lasting marital relations. The current residential situation in Tehuashe is a result of the land redistribution of 1980 and of the rebuilding after the 921 earthquake in 1999. It has been deeply influenced by the tourism business at Sun Moon Lake, and therefore, the area has developed into a commercial area. Prior to the earthquake, the village’s population was a mix of Thao and Han Chinese, and there was no specific division. The atmosphere was quite harmonious. After the 921 earthquake, since many houses were seriously damaged, the government, together with some civil organizations, led by the Thao Culture Association, collected funds from both the public and private sectors. They then cooperated with architects and built 42 pre-fabricated houses both outside the village and on the original site of an aboriginal culture park. The pre-fabricated houses were distributed according to each Thao household’s Ulalaluwan (a vessel with some objects that represents ancestral spirits of the family), and traditional ritual places and tribal classrooms were also constructed. In order to separate the Thao people from Han people, these houses were strictly limited to the Thao who had an Ulalaluwan, a traditional ritual vessel; therefore, an ethnically mixed village turned into two distinct villages. 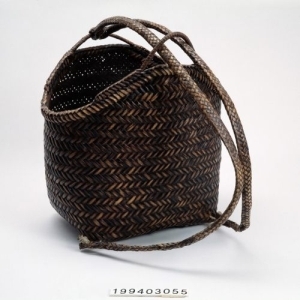 An Ulalaluwan is a round rattan-woven basket with four legs, and is the object most representative of the Thao ethnic group’s belief in ancestral spirits. They usually put their ancestors’ clothes and jewels in Ulalaluwan, and couples who were assigned new Ulalaluwan would also place their clothes in the original Ulalaluwan. An Ulalaluwan represents the existence of ancestral spirits in a given household. The Thao believe that people become spirits after death and return to Ulalaluwans to be worshipped by their families. However, not everyone can transform into a spirit – that is, people who marry into the family may not be able to. In Thao society, clan is the unit of exogamy. Because a Thao man and a Thao woman who share the same clan name cannot be married, while couples who have different clan names but are relatives can, the Thao people have the custom of marrying people from different ethnic backgrounds. Since their population is male dominated, the Thao men tend to marry women from other ethnic groups under this custom. 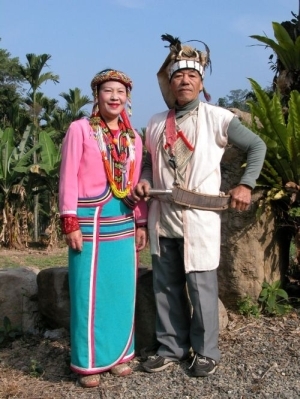 For geographical reasons, many Han and Bunun women have entered the Thao ethnic group through marriages. 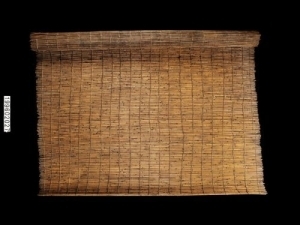 Cilu Chen’s studies show that the non-Thao population has remained stable at 30% of the total population since 1955 and has not only deeply affected the Thao population structure, but also its material culture and recognition of other ethnic groups. 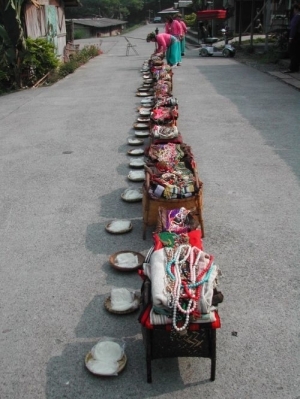 In order to resolve the identity issue, the Thao people have designed a ritual based on the “pareqa system” (Pareqa refers to the chief-celebrant of the Thao’s harvest festival) for non-Thao spouses to gain recognition from Thao ancestors. Thus, these people can be gradually integrated into the Thao ethnic group, and the Thao blood is preserved.